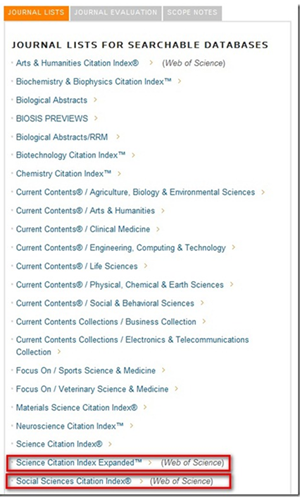 How to know which journal title is covered in Web of Science? Step1. 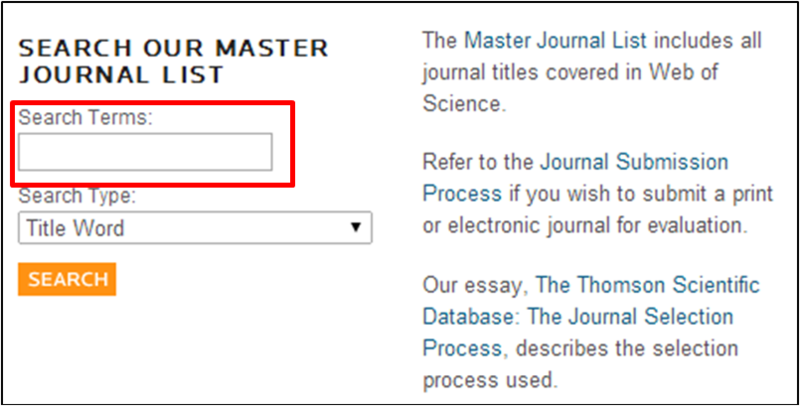 Go to “Master Journal List” website. Step2. Browse the journal lists provided and Select the database title below. Step3. 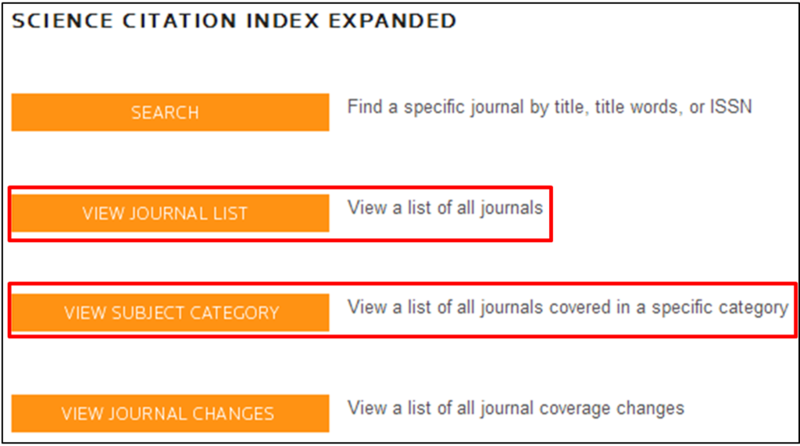 You may choose to “View journal list” or “View subject category”. 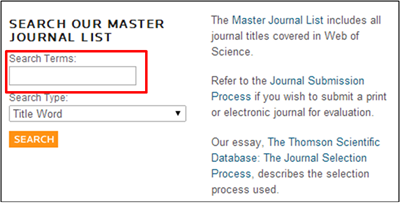 “View journal list” — Click the first letter of journal titles on the top of the alphabetical bar. 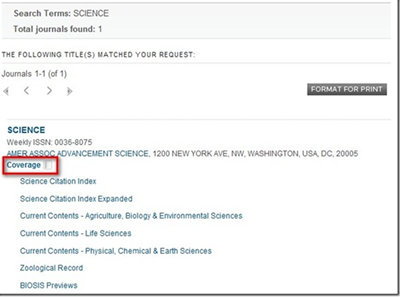 “View subject category” — Select the subjects of journal titles in a drop-down menu. 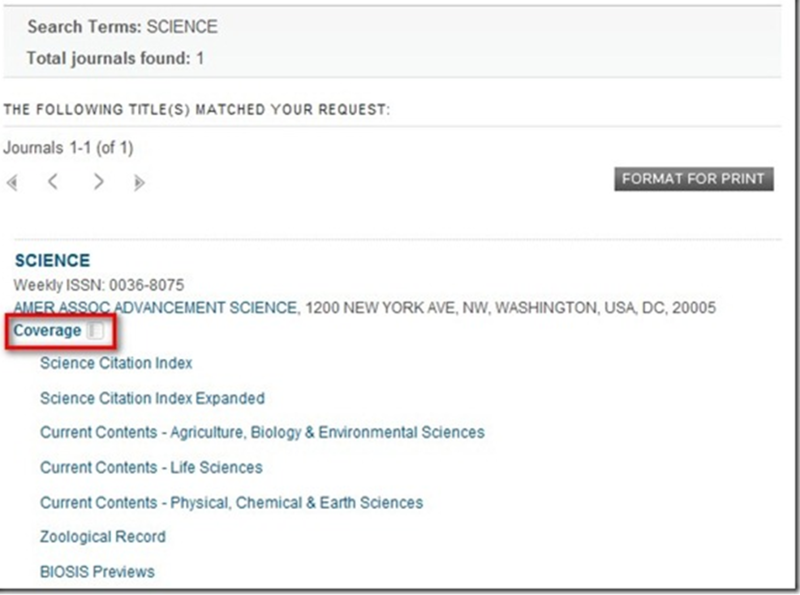 If you are not certain about the databases or disciplines which cover certain journals, we suggest you to use searching function to find the journal titles. Step3. Type the keywords in search terms. Assume that we are looking for a science journal. Type “science” in search terms à Select “Full Journal Title” as search type à Click “Search”. Step4. In the searching results page, click “Coverage” to view which database is covered science journals. Written by YoYo Cheung, Intern from The University of Hong Kong. This entry was posted in English Articles, Web of Science, 學術評鑑, 客座寫手專欄, 綜合型館藏資源 and tagged A&HCI, SCIE, SSCI, Web of Knowledge, Web of Science, WOK, WOS, 學術評比. Bookmark the permalink.